Strong and durable product. Being that its eco-friendly makes it an easy purchase for my business. Thanks for the impeccable service Custom Earth Promos. You guys really assisted me wonderfully in helping me find the exact product that best fit what I was looking for. This is one of my favorite products from this company! Highly recommend CEP to anyone looking for any eco-friendly products! We ordered 5,000 customized steel travel mugs for all the airports we are apart of. A great way to promote ourselves and be eco-friendly too. Thanks for the impeccable service Custom Earth Promos! Strong, durable product. Being that its eco-friendly makes it an easy purchase. A very functional, earth-friendly steel mug. I got a great deal on the mugs after ordering them in bulk. Gave these out as gifts to my customers and they loved them! These stainless steel travel mugs have been a big hit in our office building. I took the initiative to personalize several thousand of the earth-friendly travel mugs. I gave them to all potential clientele and current customers. It was a great business move and I have no doubt that we will get great feedback. Customizing my steel travel mugs was a wonderful experience. I didn't have one issue when working with this company. My company was very impressed with the quality, and delivery time of our product. The stainless steel travel mugs created exposure and helped the "going green" as well. Customized, ordered and delivered. Simple process for such a great product. Custom Earth Promos' Imprinted Stainless Steel Travel Mugs are the ultimate in eco-friendly, spill-preventing tumblers. 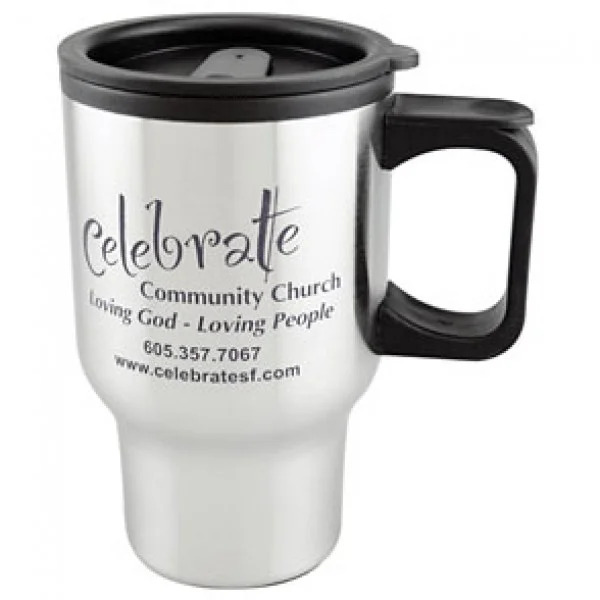 With two optimal imprint areas to guarantee optimized eco-friendly visibility for your brand and a tapered bottom to assure the travel mug will fit in most any beverage console, this stainless steel travel mug is the perfect blend of functionality, usability, durability, waste reduction and optimized brand marketing. Work directly with an in-house design expert to build a custom graphic from the ground up that best captures your current campaign and brand aesthetic. The 16 oz. stainless steel travel mug features a plastic liner, removable lid and a thumb slide closure to prevent spills. Perfect for keeping beverages hot or cold while on the go and increasing brand visibility by leaps and bounds, Imprinted Stainless Steel Travel Mugs can propel your eco-conscious marketing efforts to the next level! Optimized brand exposure is a key component in driving your business forward. Making the right call in this case, where considerations of sustainability and "green" presence are involved, picking a product that hits the nail on the head in terms of utility and style can be a challenge for many marketers. Luckily, our Imprinted Stainless Steel Travel Mug has everything you could hope for in a branding tool. The eco-friendly mug has a sleek design and recyclable properties with a sturdy support handle and matching lid. The lid makes it well-suited for travel and can be flipped shut while commuting. The design is well-engineered to guarantee maintained beverage temperature for hours. Our travel mug makes an ideal promotional gift at networking events and industry trade shows. Your custom order of travel mugs will help to boost your business with enhanced exposure and eco-friendly value. You will work side-by-side with an in-house design expert to build an exclusive blueprint for your Imprinted Stainless Steel Travel Mug orders. We will ensure that your current campaign and brand aesthetic are captured in every detail of the final design. If you prefer, we can even send you a sample to review before moving forward with production to ensure your absolute satisfaction with the end result. 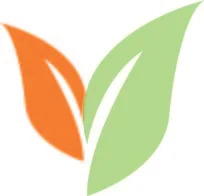 We uphold each and every product to a strict set of standards, as well as stringently testing every product for safety and compliance with California Proposition 65 guidelines. With Custom Earth Promos' eco-friendly customized promotional products, you can rest assured that you are providing a product that is safe for both your customers and the environment. With Imprinted Stainless Steel Travel Mugs, you have a completely customizable eco-friendly canvas at your fingertips. You'll be communicating directly with your dedicated design expert, helping us to build an exclusive brand graphic that captures your message with commanding style. In addition to the wide variety of in-stock color options, your design expert can also provide PMS color matching services are available upon request. We will discuss all custom options with you and provide design advice upon request, ensuring a final product that exceeds your campaign goals, optimizes exposure and strengthens your eco-friendly brand image. Many times our customers have a corporate event or networking opportunity in just a few days and are in need of promotional material. If you are also under a tight deadline, don't fret. Custom Earth Promos proudly provides a rush delivery service that has been celebrated by many customers as the saving grace for several promotional occasions. Contact us with the specifics of your order, our professionals will build the graphic for your final approval and we'll get to work on building your brand exclusive blueprint of Imprinted Stainless Steel Mugs. Drive your advertising efforts with a product that promotes sustainability, secures your "green" presence and guarantees safety for your customers. Build an image of positive impact for your brand that will guarantee continued success. Your eco-friendly brand will be promoted to a plethora of prospects as customers carry their travel tumblers all over town.